We started Azure Weekly because the team @ endjin were finding & sharing interesting links on our yammer portal, then I started writing a monthly blog post to collate all these links. This process started becoming a little onerous, so I built a text classification framework to categorize the content automatically; we extended that with a modern data pipeline (using Azure Data Factory) to ingest, cleanse and classify the various feeds we monitor and then we added email & Twitter integration and that enables us to produce the newsletter in a few hours rather than a whole day. It's been fascinating watching our global community of subscribers grow week by week, but I would appreciate any community involvement to help spread the word! As I mentioned previously we're running a prize draw to celebrate issue #100 - we've selected the winners and will be contacting them this week; taking a lesson from the last time we did a prize draw, we're going to let the winner select a prize best suited to them (pick a particular book, pick a particular IOT package). Future Decoded 2016 ran for two days last week in London; the first day was the "business day", the second day was the "technical day", which also included a TechDays Online track; one particularly interesting session to draw your attention to is "Evolving ASOS to Azure Microservices" - a conversation with Bob Strudwick from CTO at ASOS about their adoption of Azure. This week on the Azure blog, Lily Kim shares new Azure Government Documentation and Paul Bouwer announces automated notifications from Azure Monitor for Atlassian JIRA. Kirill Gavrylyuk unveils Azure DocumentDB updates, including quick start experience, backup and restore, and firewall support. Alexander Nosov reveals the Azure SQL Database supports up to 10 years of Backup Retention, while Michael Hauss writes about the general availability of Azure cool blob storage in additional regions. Finally, Clemens Vasters discusses Azure Relay and cross-platform, open-protocol connections. On Channel 9, Josh Caplan (@JoshCaplan1984) covers PowerBI embedded GA.
On the Azure blog, Kirill Gavrylyuk (@kirillg_msft) shares Azure DocumentDB updates, including quick start experience, backup and restore, and firewall support. On the SQL Server Pro site, Tim Ford (@sqlagentman) shares a one month free trial for Azure Data Warehouse. Paul Bouwer announces automated notifications from Azure Monitor for Atlassian JIRA. On MSDN, Holger Linke shares a sample for running a T-SQL Code in multiple databases. Parikshit Savjani (@talktosavjani) writes about an issue with .Net 4.6.2. framework client driver for Always Encrypted. 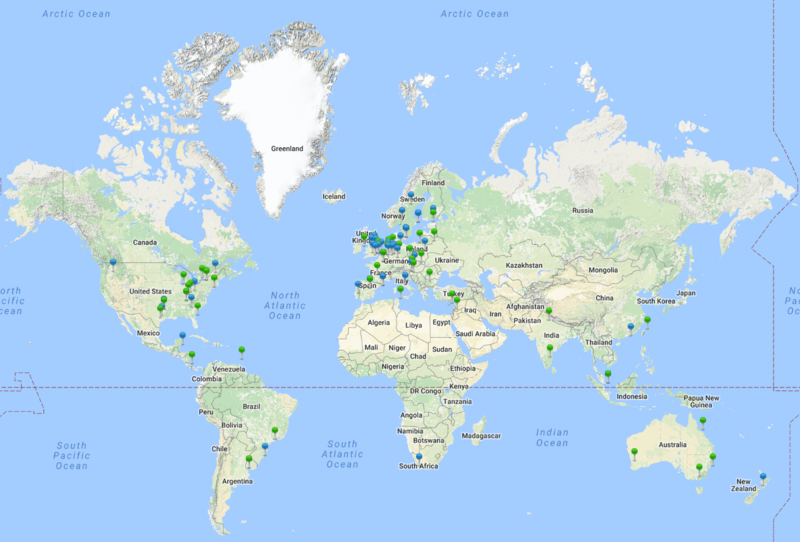 Simon J.K. Pedersen writes about using custom http routes in Azure Functions and using Azure Functions to create a Microsoft Teams Webhook Connector. On Channel 9, the MediaValet team (@MediaValet) talk about DDD and CQRS on Service Fabric. On the GoorooTHINK blog, Cosmin Muscalu (@Cosmin_Muscalu) covers Azure Service Fabric Cluster deployment issues. On TechNet, Dishan Francis (@rebeladm) writes about enabling the Lightweight Directory Access Protocol on an Azure AD managed domain. Tim Anderson (@timanderson) gets hands on with Microsoft's ADConnect. Michael S. Collier (@MichaelCollier) explains how to connect to the Azure SQL Database by using Azure AD authentication. On the Azure blog, Clemens Vasters (@clemensv) discusses Azure Relay and cross-platform, open-protocol connections. On the Azure blog, Christine Avanessians reveals Blockchain has come to the Azure Marketplace. On MSDN, Derek Strausbaugh announces the general availability of Virtual Cloud Defense. Lily Kim shares new Azure Government Documentation. Thomas W Shinder (@tshinder) explains how to close common security holes with Azure Security Center. On Channel 9, the Azure Team (@Azure) talk about getting started with the Azure Security Center. Nate Johnson looks into Azure Blueprint taking on DoD Level 4. Stuart Leeks (@stuartleeks) writes about including Headers for Request Events with Application Insights. On Code Project, Brandon H (@bc3tech) shows you how to get on-schedule and on-demand Azure VMs using Runbooks and Microsoft Flow. James van Den Berg (@JamesvandenBerg) shows you how to learn JSON with Resource Manager and Visual Studio. On Channel 9, Narayan Annamalai (@NarayanMsft) discusses Virtual Network peering. Alexander Nosov reveals the Azure SQL Database supports up to 10 years of Backup Retention. Chelsea Carter announces that Azure Search and Backup is available in Canada. Michael Hauss writes about the general availability of Azure cool blob storage in additional regions. Pallavi Joshi explains how Azure Backup supports encrypted Azure virtual machines using Portal and PowerShell. On the Tallan blog, Anthony Dinh talks about using AzCopy as a workaround for Microsoft Azure File Storage Connector. On MSDN, Ben Perkins (@csharpguitar) talks about memory metrics for an Azure Web App and App Service Plan, looks at moving an Azure App Service and covers the port limit for an Azure App Service. On TechNet, Christi Jastram writes about planning, building and operating your Azure app. On MSDN, Jeff Sanders (@jsandersrocks) tells you how to determine the installed .NET version in Azure App Services. On Code Project, Hady Allam explores the Azure App Service. Radu Vunvulea (@RaduVunvulea) talks about enterprise migration to IoT.